I don’t often review books, but this one is particularly apt for me to sink my teeth into. Leeds, history – perfect. Leeds played an important part in the Great War. Not just in the men it sent to fight, but also in keeping them supplied and making sure the home fires kept burning. Moore and Pullan, both curators with Leeds City Museums, offer a very thorough primer of Leeds at the time, and some of the aftermath. It’s a compelling portrait, and one of the surprises is that the city lagged behind its neighbours in men volunteering to join up, but the figures don’t lie. As an industrial centre, Leeds was vital to the war effort, not only in making uniforms, but also with plants like Barnbow in Crossgates, where thousands of women did their bit by assembling shells. Illustrating it all with items, letters, and photographs from the museum collection is an excellent stroke, allowing the writers to home in on things as examplars. It’s not a massive book, so the reader won’t find extensive detail on each of the aspects, but that’s not the intention. This is an overview of the city at war, and in that it succeeds admirably. It’s perfect for the average, curious reader, and the extensive list of resources at the end offer places to for more information. 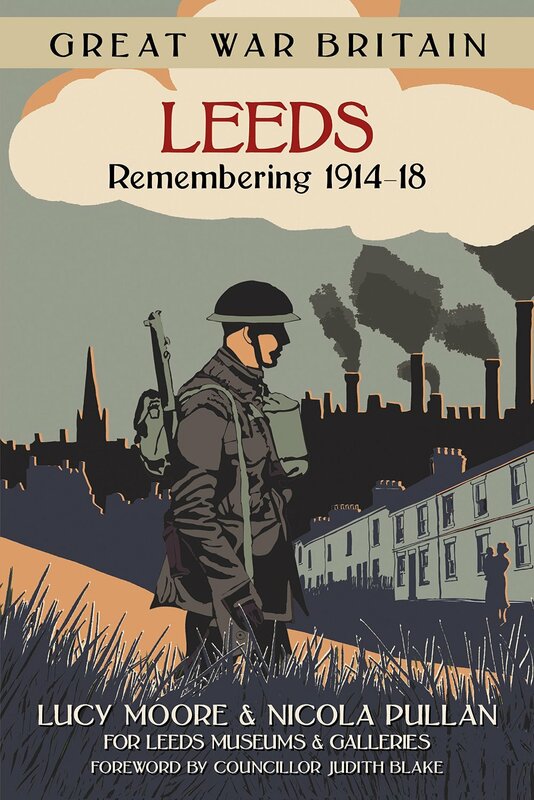 This would also be an excellent book for kids over 14, at least those in Leeds, as a chance to discover what things were like in their hometown a hundred years ago, and also some of what the men in the trenches experienced. Yes, it’s definitely local interest, and that’s absolutely fine, because history as many people experience it as at a local level. It’s worth remembering that this was the first global, total war. For many people in Leeds it was their first real awareness of the world. The city was an industrial giant, but for most it was a very parochial life until the lamps started going out over Europe. An excellent, very readable book indeed, and well worth the time. And you can buy it here.